Here are the declaration made mandatory by FSSAI for food manufacturers on their food product packaging . ( includes bakery products ). Consumers are advised to check details before buying food products to ascertain that food is good for consumption. 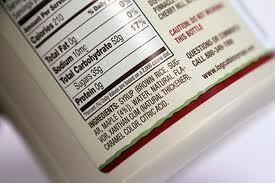 The food in which hydrogenated vegetable fats or bakery shortening is used shall declare on the label that " Hydrogenated Vegetable Fats or Bakery Shortening used - Contains Trans Fat "
Where a health claim of " Trans Fat Free" is made then the Trans Fat shall be less than 0.2g per serving and in case where the claim " Saturated Fat Free" is made then the saturated fat shall not be more than 0.1gm per 100gm or 100ml of food . Nutritional information are not mandatory in case of raw agricultural commodities like wheat , rice , sugar ,cereal spice and condiments , table salt or non - nutritive products .